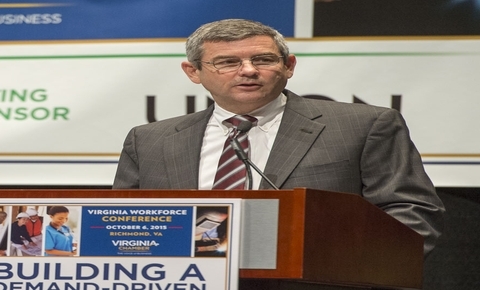 NEWPORT NEWS, Va. (Oct. 6, 2015)—Mike Petters, president and CEO of Huntington Ingalls Industries (NYSE:HII), delivered the keynote remarks and call to action this morning at the Virginia Workforce Conference in Richmond. 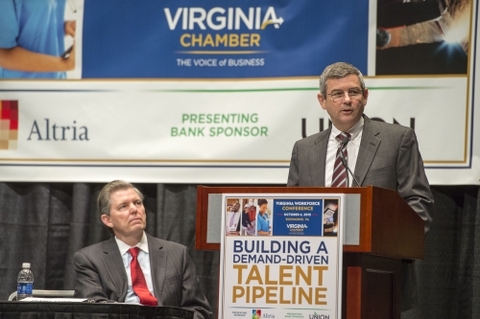 The theme for the conference, hosted by the Virginia Chamber of Commerce, was "Building A Demand-Driven Talent Pipeline." Petters argued that workforce development and education—specifically pre-K education—are national security issues.